Improving skills and raising awareness about commercial forestry are key outcomes of the FAO/SPGS III Project. FAO is cognizant that commercial forestry in Uganda is still a relatively new venture, and many tree farmers have limited skills in establishment and management of forest plantations. Consequently, in November 2017, SPGS III Project organized a series of meetings and field tours for grantees in the different clusters all over the country. The field tours and meetings created an opportunity for the grantees or investors to learn about best practices in commercial forestry, through sharing experiences and knowledge with one another and through demonstrations of various forest operations. “Commercial forestry is a good business; if you focus on quality establishment of your plantation, you will enjoy massive returns in the future”, said David Alfred Esamich, a beneficiary of SPGS III, hailing from the Karamoja region. Esamich is a recipient of a grant for establishment of commercial forest plantations in Okore sub-county, Katakwi District and in Napak District of the semi-arid Karamoja region. For Julian Omalla, founder of Delight Uganda Limited and Delight Agribusiness, “even without a grant, training is very important if one is to benefit from commercial tree planting”. She notes that many people plant trees without the right knowledge and so “they lose out”. Omalla, who received a grant to plant 120 hectares in Nwoya District, appealed to tree growers to always plan, ensure timely operations, check the soil type and texture in order to plant suitable trees and realize greater economic gains. The award-winning entrepreneur noted: “Northern Uganda has oil and other minerals and in the future there will be great demand for timber for construction; therefore people should plant trees to be able to supply timber”. The meetings also enabled FAO/SPGS III to interact with grantees for feedback on their progress and to appraise the latter on relevant modalities for successful implementation of the grant. The field tours were held at: Global Woods Ag. Limited in Kyankwanzi District (Albertine cluster), Ferdsult Forest Plantation in Buikwe District (Central and Eastern clusters), Richard Bakojja’s forest plantation in Mubende District (Western and South Western clusters) and Kachung Plantation Project in Dokolo District (Northern, Karamoja, and West Nile clusters). Currently, there are 521 grantees (individuals and private companies) that have committed to promoting commercial forestry by establishing plantations that meet quality standards as advocated by SPGS III. They will establish plantations on a combined land area of 25 000 hectares. On behalf of the European Union (EU) delegation in Uganda, the EU Operations Advisor for Sustainable Environment, Jalia Kobusinge lauded the grantees for investing in commercial forestry and urged them you uphold high standards so as to ably “demonstrate that commercial forestry is viable”, she said. 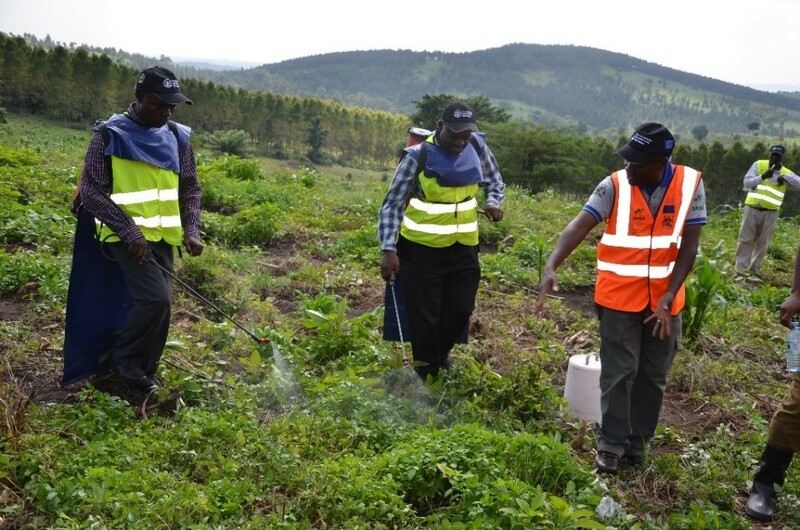 During the field tours, the FAO/SPGS III team demonstrated: how to identify good tree seedlings, stressing the importance of sourcing seedlings from certified nurseries; correct planting of seedlings, chemical weed control and selection of the right soil for tree planting (including identifying wetlands or swampy soils that may not favour tree growing). Furthermore, the SPGS III Project Coordinator, Leonidas Hitimana, reiterated FAO’s commitment to supporting the grantees to reap from their investments by ensuring they uphold standards in their operations as well as providing the necessary training and on-site technical assistance to support them. Also in attendance were certified contractors, tree nursery operators, District Forestry Officers (DFOs) and representatives from Uganda Timber Growers’ Association (UTGA) - a body that brings together private sector players in commercial forestry industry. According to Charles Elotongwang, DFO of Lira District, many people in the District are involved in small and large scale commercial forestry, envisaged to improve their livelihoods in years to come.